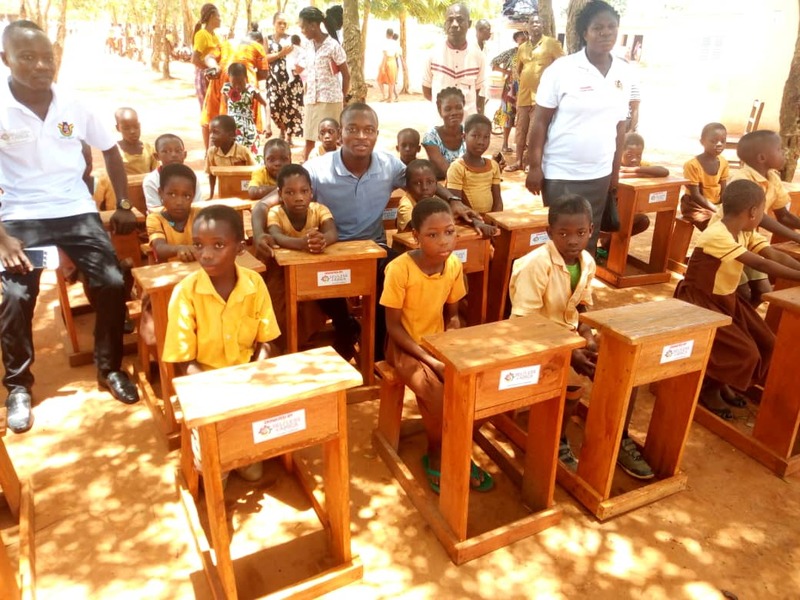 PUPILS SAVED FROM STUDYING ON THE FLOOR: DESKS DONATED TO KLIKOR UNITY BASIC SCHOOL. 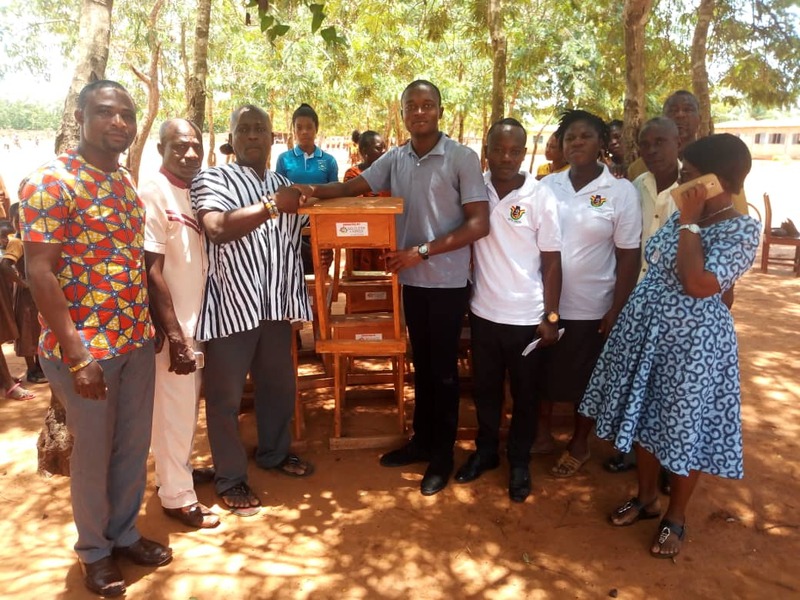 Selfless4Africa through the Divine Kporha Charity Foundation with support from NASPA-Ketu South and other benevolent persons today Friday, April 5, 2019 made a donation of 20 desks to the Klikor Unity Basic School in the Ketu South Municipality of Ghana. Before the donation, the Kindergarten pupils, numbering 80, were without desks and used to read and write examinations on woods supported with blocks. The pupils were also exposed to dangerous weather conditions and unhygienic environment as they sit on a dusty, filth-ridden floor to learn. 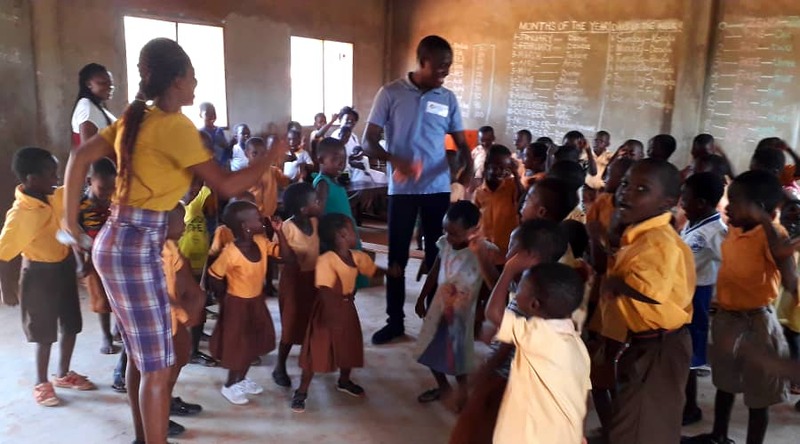 However, all these has seen some interventions from an International NGO through the Divine Kporha Charity Foundation as they are committed to supporting basic education in Ghana with particular attention to schools with ‘no desk syndrome’. The Headmistress, Mrs Patience Zah seized the opportunity to express her appreciation on behalf of the School Management Committee, PTA and the parents of these pupils. Torgbui Nyatakpo Saba II, the Chairman to the donation ceremony, admonished the staff and pupils to take care of the furniture provided to them, since this is a great relief to the school and community as a whole. Divine Kporha, indicates that today’s [Friday 5th April, 2019] donation should be the beginning of a holistic approach to tackling the issues of children sitting on stones to study in Ketu South Municipality in the quest of promoting quality basic education for all. He believes education remains a right and allowing these children to sit on the floor to study can only be an abuse of their human rights. In attendance at the short ceremony held for this purpose were Traditional leaders, the Circuit Supervisor, Headmistress and Staff, Executives of the School Management Committee, PTA, Executives of NASPA-Ketu South and pupils.